Davao City, Mindanao, Philippines - JUNE 22: Technicians monitor traffic cameras at the Public Safety and Security Command Center. 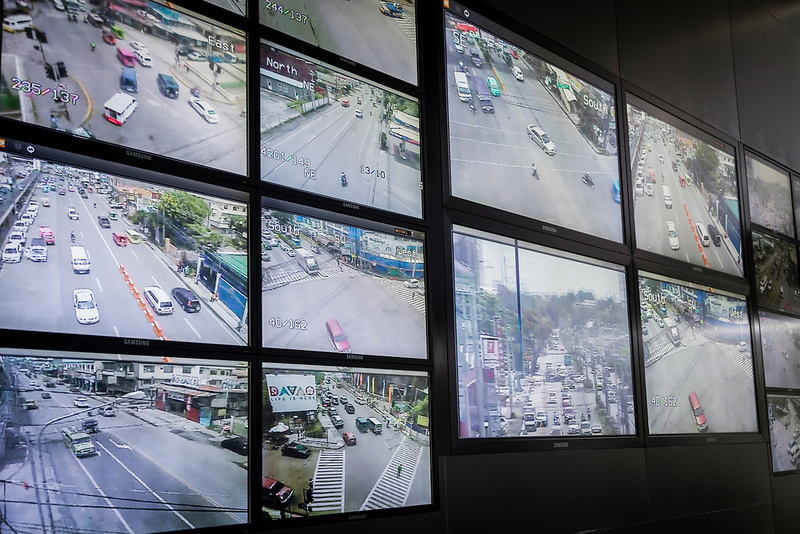 There are over 175 security and 15 traffic cameras installed in Davao City. Security in the city is tight since President Duterte implemented a Martial Law for 60 days in Mindanao due to the heavy fighting in Malawi 250km away.